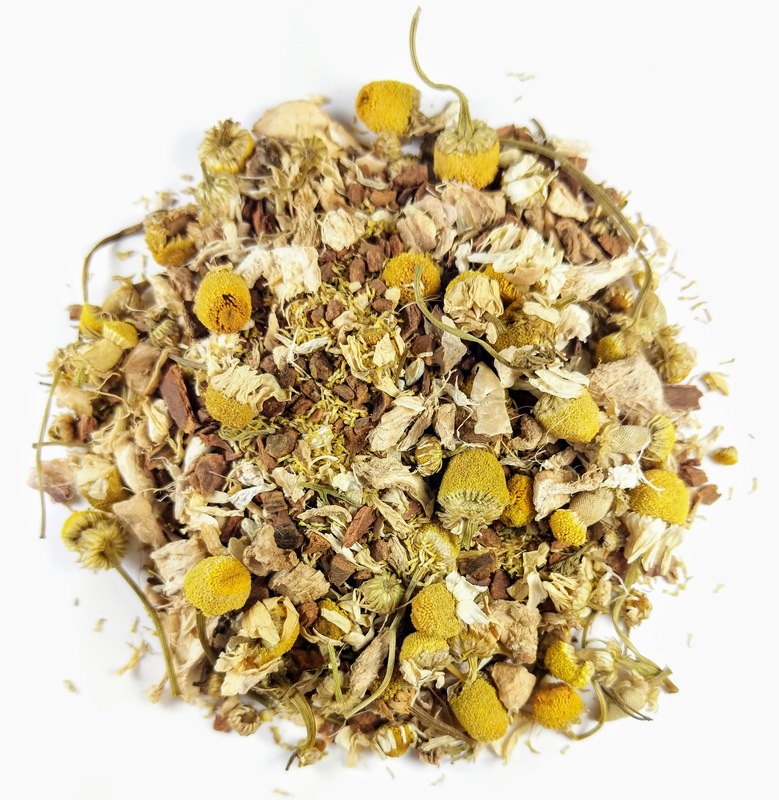 A relaxing and delicious house blend made with the finest Egyptian Camomile blossoms from the Nile River Delta, Thai ginger pieces, and crushed cinnamon stick. Cup Characteristics: Very aromatic with w a fruity tending floral flavor, with bright ginger notes and warm spicy finish. There are several varieties and countries of origin of Chamomila – sometimes referred to as bachelor buttons because of the shape of the flower heads – but the best quality comes from Egypt. The sandy loam and nutrients from the Nile create perfect growing conditions. Camomile flowers have a yellow center and white petals – they almost look like a daisy. Essential oils in the flowers produce a soothing pleasant aroma and a fruity character. In some parts of Europe, particularly southern France, camomile plants have been strewn on floors or pathways to give the area a good scent. Camomile can be made into a pleasant aromatic tea which is slightly bitter but with a fruity flavor. It is often sipped for relief of health problems ranging from toothache to nervousness. Camomile has also been noted as beneficial for soothing headaches and is a natural relaxing herb known to assist the restless and those suffering from insomnia. In many circles Camomile is called nighty night tea or sleepy tea on account of its natural properties, which promote restfulness and drowsiness. It is also known to assist digestive disorders by settling the stomach and calming the nerves. The plant’s botanical name Matricaria, is derived from the Latin term for womb because it was once used as an herb to treat female troubles. Camomile is derived from ancient Greek and translates as “Ground Apple” in reference to the fruity aroma. When combined with ginger, it can also relieve a sore throat and is particularly effective with a little honey and lemon. Like many teas and herbs camomile should be consumed without the addition of milk. Hot tea brewing method: Bring filtered or freshly drawn cold water to a rolling boil. Place 1 teaspoon for each 7-9oz/200-260ml of fluid volume in the teapot. Pour the boiling water into the teapot. Cover and let steep for 5-10 minutes according to taste (the longer the steeping time, the better the flavor as more fruit or herb flavor is extracted). Garnish and sweeten to taste.